Ironburg Inventions LTD vs. Valve Corp.
wherein the second elongate member extends along at least half of a second distance between the top edge and the bottom edge, the second distance being measured along a longitudinal axis of the second elongate member. 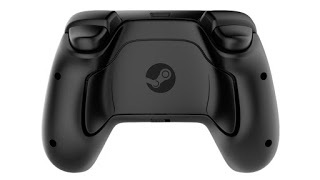 It seems as though one issue in this case will be whether the back triggers on the Steam Controller meet the specific physical requirements set forth in the claims. One interesting civil procedure note about this case: the complaint appears drafted under the old barebones standards for patent infringement actions set forth in former Form 18. However, new rules requiring a more complete recitation of facts came into effect on December 1, 2015. The actual standards courts will hold plaintiffs to in their complaints remain to be seen, but it is likely that courts will require patentees to at least identify specific claims alleged to be infringed as well as provide some level of analysis as to how the claim is infringed. This complaint does not appear to identify any claims in particular (other than demanding relief for “infringement of one or more claims” of each patent), nor does it appear to address how the Steam Controller relates to any claimed features of the patents. We will continue to watch this case for any interesting updates.